I love to hear others holiday suggestions, tips, favorites, so today I thought I would share some of my favorites with you. #1. Buy a fresh cut Christmas tree. 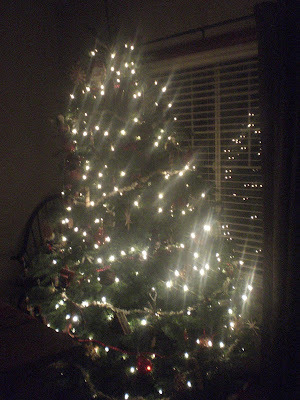 I just finished decorating our fresh tree last night and it looks so pretty...and it smells even better! There is nothing that can compare with a fresh cut pine tree. This is our 5th year of selling Christmas trees, and maybe our last. If you live in the same area as me and would like a $5 off coupon to buy a Christmas tree from us, then e-mail me at lomaril[at]aol[dot]com. I will email you back a $5 off coupon and information about where you can buy a fresh cut tree, wreath, and garland. #2. 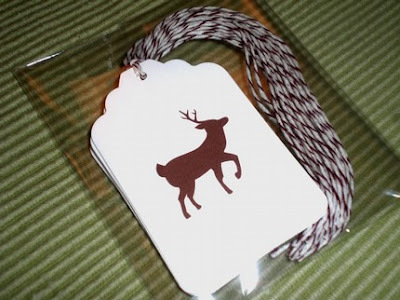 Purchase some adorable tags to adorn your presents. I did, and I can't wait to receive them! I also am looking forward to seeing what else Danyelle puts in her shop. #3. Decorate your computer for the holidays. As much time as we bloggers spend at the computer, this is a great way to spruce up your screen. Free wallpapers to download and install as your desktop background. 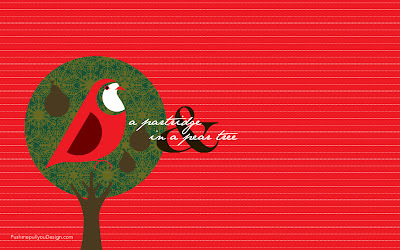 There are a few to choose from, I picked this one...and it makes me happy when I walk by my computer. #4. Read Charles Dickens' "A Christmas Carol". I started reading this last week, and to be honest with you, it is my first time reading Dickens, and I LOVE IT! No wonder his works are considered classics, the way he writes is so beautiful and pleasant to read. I am reading a little bit each day and plan on finishing some time before Christmas. It is only 52 pages long. 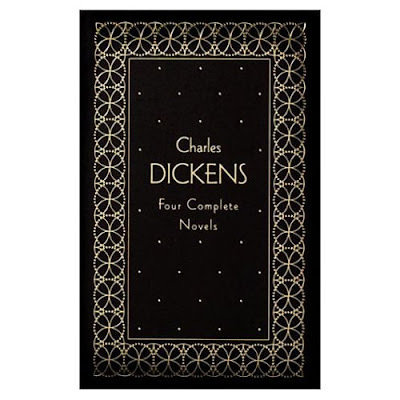 I picked up this copy of Dicken's classics at Costco for $12.99. It looks beautiful sitting on my end table. #5. 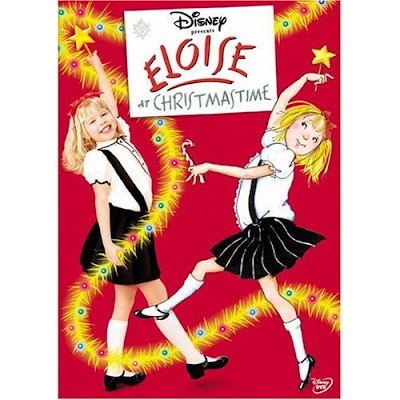 Watch "Eloise at Christmastime" with your favorite little people. At our house, Eloise in any form is desirable. We have several books and both of the movies, but this movie is our favorite. We watch it every year many many times. If this movie doesn't make you smile and feel the Christmas spirit, you may want to have your heart checked out by an expert. Plus it has Julie Andrews and she makes everything perfect. Simmer all ingredients for one hour.